At the edge of night the sun pulls down its soothing shade and peepers creeping from leafy covers tune up to sing. Who will start this evening’s song with fluted notes that serenade the night? Someone begins, the same song his ancestors sang, and the forest fills with an urgent chorus. It must be high honor if you’re a frog, to sing the evening solo so others will get it right. Wander out to any wetland, large or small, after dark and you will be greatly rewarded with a chorus that vibrates all the way to your core. Some of our smallest critters venture down from the forests to broadcast their spring mating calls to all who will listen. This annual phenomenon comes from a group of animals called Amphibians and from that group it is the male frogs and toads that bring us this vernal (springlike) auditory delight. The name amphibian comes from the Greek word amphibios, which means to live a double life. In North America the animals in this group include those with legs and tails (the salamanders and newts) and those with no tails (frogs and toads). A double life for these wondrous creatures means starting their life in the water and, as adults, living on the land. A common misunderstanding is that all frogs live in the water. Not so! Many of our resident amphibians live in the woodlands and prairies that surround the ponds, lakes and streams. They come to the water to mate and lay eggs. When that task is complete they hop their way back to tree trunks and leaf litter to find whatever the carnivore menu has on tap, be it insects, snails, spiders or mites. The vernal chorus lasts only a short time for some species like the Wood Frog (Lithobates sylvaticus). This masked songster sounds to some like a quacking duck. Wood Frogs are the earliest breeders, beginning just after frost-out, usually the later part of April, and lasting only about two weeks. You can hear them mostly in ephemeral (fishless and short lived) ponds created by snowmelt and spring rains. Other early singers include the Boreal Chorus Frog, who sounds like your finger running across a comb, and the Spring Peeper, whose deafening “peeep, peeep, peeep” is unmistakable. Both of these frogs are about the size of your thumb and can sing into the month of May. Warmer water temperatures bring out other parts of the choir, like the Toads and Tree frogs. Listen for these singers throughout the month of May and into June. Toads provide the constant high-pitched trill as background to the melodic short-burst trills of the Gray and Cope’s Tree frogs. Last but certainly not least is the Green Frog. Listen for the “poing, poing, poing” call that resembles a ping pong ball or loose guitar string. The males tend to sit like little statues at wetland edges. Try to reach for them and, in the blink of an eye, they are gone, leaving you to wonder if you really saw them or not. Why should we care about frogs? Because they are an integral strand in the web of life and have a right to be where they are. Adults provide insect control, eating many of the pests that bother humans, such as mosquitos! 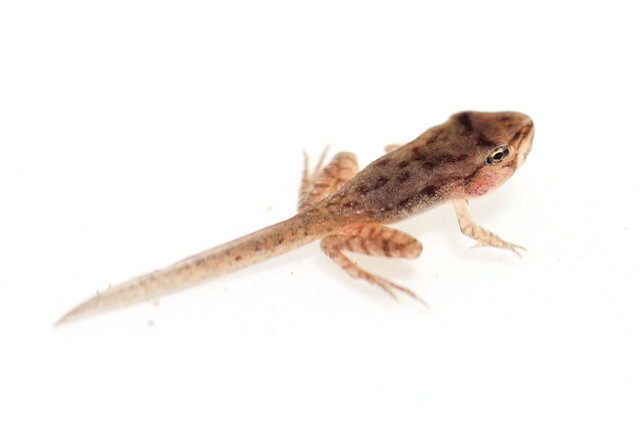 As tadpoles, they are herbivores and consume algae, which can help to eliminate algal blooms. Amphibians are bio-indicators. Because they absorb toxins through their permeable skin, they can alert us to degradation and pollution in our water bodies well before we are even aware there is a problem. Amphibians are being evaluated for medicinal value. Their skin secretions are reported to help to lower blood pressure. How can we help Amphibians? Learn more about them! Get out on any night that you can to listen to their magical and amazing vocalizations. Watch the roads on wet and rainy nights in the spring for the mass migration of amphibians from their upland hibernation spots to wetlands. Try to go slow and not run them over! Be an educator! Learn and share the stories of these small and wondrous creatures. They are bio-indicators. Like the canary in the coal mine, if something is amiss in the wetlands, amphibians will be affected first and act as an alarm. Not all adult frogs live around water. While they are all born in the water, mature frogs inhabit wetland edges, forests and prairies. Adult amphibians are valuable as pest control, eating many of the insects that drive humans crazy! Visit belwin.org/events for upcoming hikes led by Belwin naturalists.